So you have passed the CDL knowledge test, got your Commercial Learner’s Permit (CLP) but the only thing standing on your way is the road test. 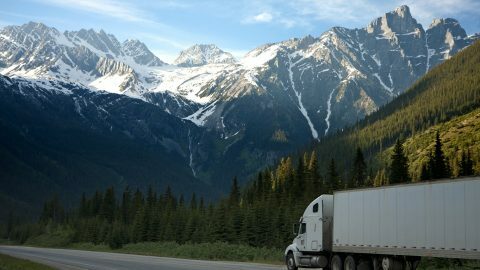 Actually, the commercial vehicle road test is the most difficult part of acquiring a CDL certification. No wonder most learners dread it. However, it is possible to pass the road test on the first take if only you prepare yourself adequately. All it takes is a few hours of dedication, self-believe and consistency. Attempting a do it yourself learning method is ambitious but the reality is it won’t do you any favors to prepare yourself. 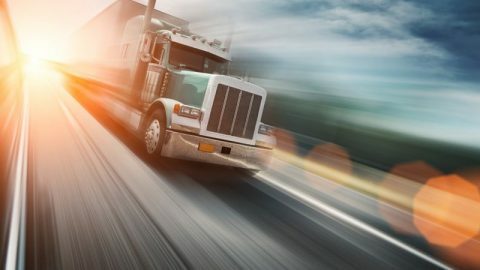 Even if you’re in a state that allows self-learning, chances are that you will find it is more challenging to maneuver an 18 wheels semi-tractor trailer than you initially thought. Furthermore, surrounding yourself with a team of experienced professional trainers will increase your chance of success. Although if you’re a military veteran it is okay to skip this part since you can get a road test waiver if you prove you’re experienced in driving heavy military vehicles. 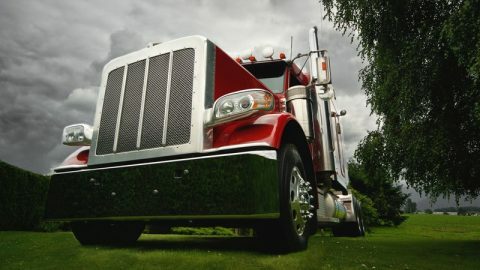 It doesn’t matter if you will be driving a bus or a truck, as long as it will be for commercial purposes, a pre-inspection routine must be done. Hence, if your road test is 2 weeks away, you have to perform a routine inspection every single day for the next 14 days. Keep in mind that there is very little room for error during the pre-vehicle inspection part of the road test. Even a slight blunder can get you a fail. But you have no reason to worry if you have done it numerous times before with guidance from your trainer. The examiner will test you to the limit and if you have not practiced enough, you will show weakness. Get behind the wheel as often as you can and learn the basic driving skills the examiner will want to see you perform. For instance, parallel parking, offset backing, alley docking, signaling and observation. The more you practice, the more your muscle memory will build up to make the tasks easier when you finally do the commercial vehicle road test. There are certain mistakes that you can’t afford to do on a commercial vehicle road test or else you will get an automatic failure. Of course, getting in a wreck or running a red light is too obvious but you would be surprised at the small things that can make you fail. Usually, such non-tolerable mistakes are safety related that could potentially cause an accident. Like forgetting to turn your signals, failing to observe before turning or changing lanes, hitting a curb and taking off from a stop after rolling backward. Although examiners understand that we’re all human and everybody makes mistakes, hence there some mistakes that you can get away with. For example, turning too wide or missing a shift. Driving a commercial vehicle comes with a lot of pressure. It is normal to feel nervous during the test. In fact, most beginner drivers will experience anxiety at some point during the test. However, the litmus test is not cracking under pressure. The examiner knows in the near future you will be spending most of your time alone, getting stuck in traffic, driving under terrible weather, surrounded by children or all types of people or in charge of an 80,000-pound rig filled with flammable substances. Hence, the examiner will be analyzing your demeanor and whether or not you will maintain composure under intense pressure. Fortunately, there are effective methods to keep your nerves in check like avoiding too much caffeine, deep breathing technique, exercising and having a positive mindset. A few days before the road test, you can request a mock test at your driving school. Allow your private instructor to act as your examiner during the mock test. After the road test, ask your driving instructor to give you an honest evaluation of your driving skills. The objective of a mock road test is to help you focus on your weakness and familiarize yourself with what to expect on the actual road test. Additionally, you can also reduce test nerves by taking a mock test. The day before the commercial vehicle road test, go to bed early and get enough sleep. Don’t go out, drink alcohol or take non-prescribed drugs before the road test. The aim is to stay sharp and focused with a clear mind. On the day of your road test, arrive at the test center at least 30 minutes early to give yourself enough time to assess the environment and visualize how to position your vehicle on your way out.